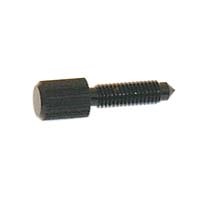 Lock Screw for LPL 7700 Lensmount and the Red Filter Assembly on LPL 45x5 enlargers. This is the lock knob used to secure the LPL00672 red filter assembly in the lens stage of LPL, Saunders/LPL, and Omega/LPL 4x5 enlargers. The same screw is also used as the lensboard securing screw in LPL 7700, and Saunders/LPL and Omega/LPL 670XL enlargers. Please note that this is not the correct red filter securing screw for LPL 6600, 6700, and 7700 enlargers - see item #LPL3231186.